Our Confetti Cannon Surprise Box is super easy to use and concealed in a tall road case so people will never expect to see a blast of Confetti blowing out when you open the door. Scroll down and watch the video. 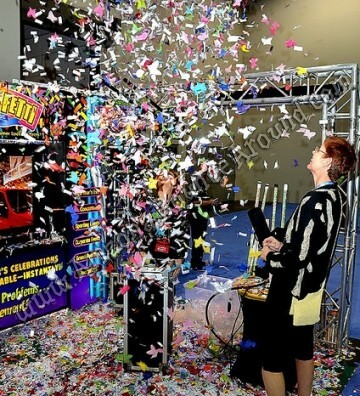 You simply drop in 1 to 5 pounds of Tissue or Metallic Confetti, Tissue Corkscrews, or Die Cut Confetti. Then you unscrew (turn on the gas bottle) attach the hook underneath the lid and it’s ready for action. The Confetti Cannon Box is now ready to shoot out confetti when you’re ready! When you pull up the lid the confetti will fly up to the ceiling and make a big mess surprising everyone. 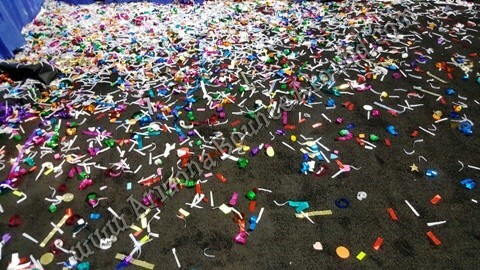 Some dyed confetti paper will stain if used in wet areas so choose your confetti best suited for your event. Confetti is not included in the rental price but we have a bunch of in stock options ranging from $12 per pound for tissue to $39 for die cut butterfly's or hearts. 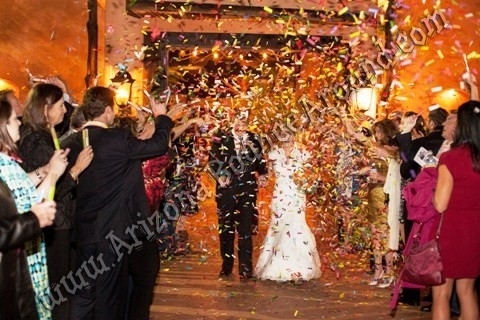 If you need custom confetti or would like to see some option visit our confetti friends. 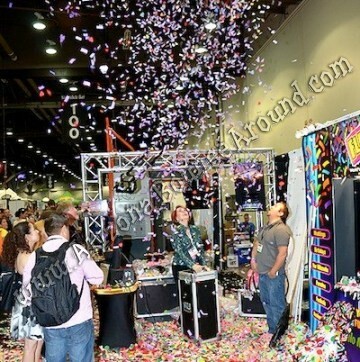 The Surprise Confetti Cannon is perfect for an End of Speech Explosion, Baby Announcement, Grand Entrance, Birthday Party, New Year’s Party, Weddings, Super Bowl Party, Sweet 16 Parties, Graduation Parties, Fashion Shows, Grand Prizes, Bar and Bat Mitzvahs, Sales Meetings or Corporate Events.